Camille putting the S9A1 back together. The women working at the Caracal booth were kind enough to pose with firearms for us. PK with an STI M1911 and a Steyr M9A1 near by. 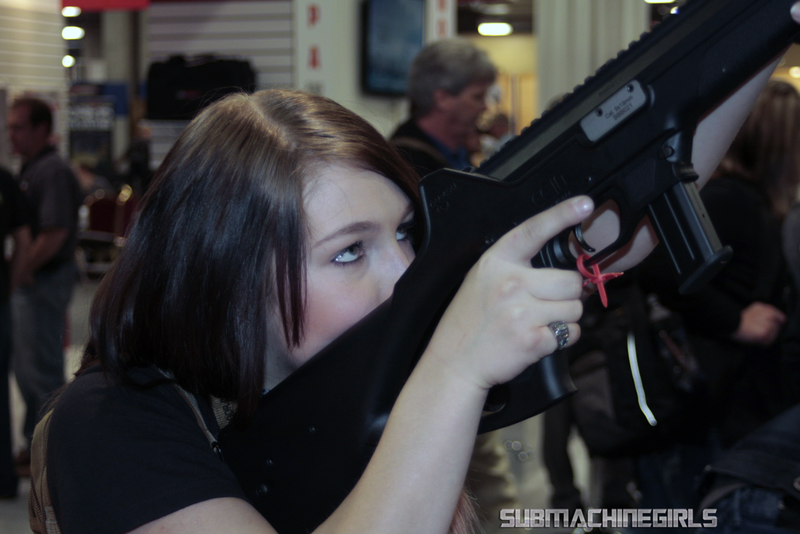 Caracal showed off their CC10 sub-carbine at SHOT Show 2013. It is expected in 9x19mm and .40S&W. GunDoll with Top Shot season one’s JJ Racaza representing Team Caracal. One of the nicest guys we’ve ever met at SHOT Show. Erica Crosby at the American Spirit Arms (ASA) booth. 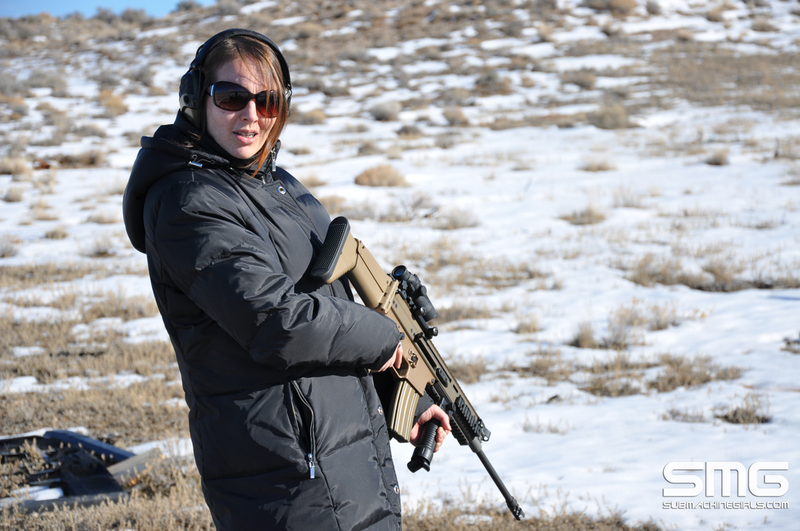 The ASA side folding stock is our preferred side-charging modification for AR15 models. 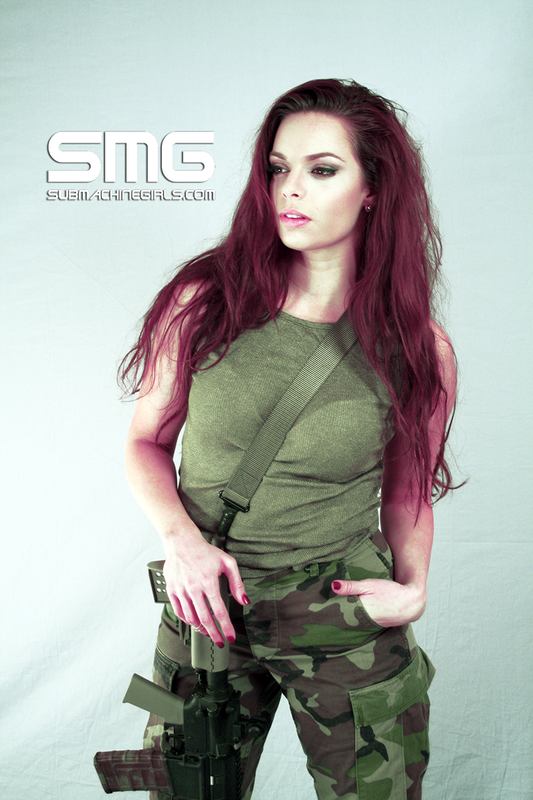 Erica is a Tactical Girls calendar model from the 2011 and 2012 editions. Below is the poster she was signing and handing out. 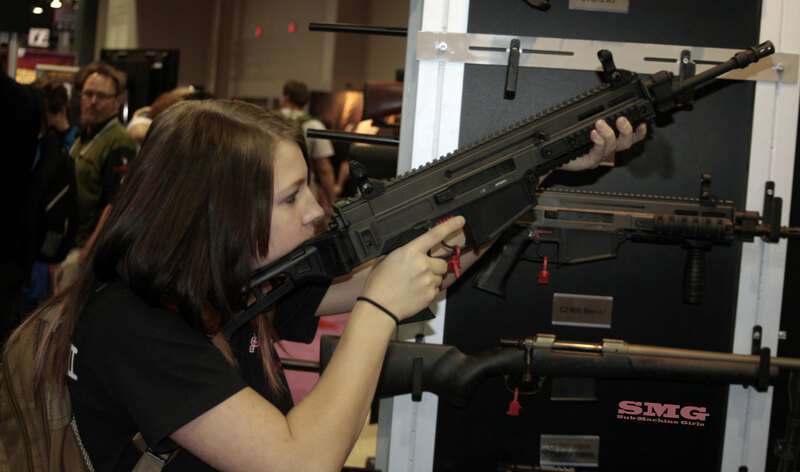 GunDoll with a 5.56x45mm select-fire Czech 805 BREN at SHOT Show 2013.